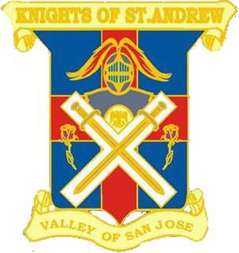 Thank you for electing me to the office of Venerable Master of San Jose Scottish Rite Bodies. The Ill. Robert Winter and I have made some changes by selecting all 32° Knights Commander Court of Honour (KCCH) as officers for the Lodge of Perfection. 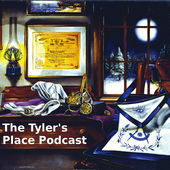 It is my hope that this change will give 32° Scottish Rite Brethren something to which to aspire. I also hope that many of you were able to attend our January Installation of Officers’ ceremony and would like to thank Most Worshipful Ken Nagel, Grand Master of Masons in California and 33°, for acting as the Installing Officer. At our February 9th Stated meeting we will have the honor of hosting the Grand Master’s Reception. Please come to honor Most Worshipful Ken and his officers and enjoy the fellowship. Looking further ahead, in March we are planning to hold a 32° KCCH Conferral for those honor men from Northern California who were unable to attend the December 2009 Scottish Rite Honors Conferral in Oakland. In April, we will hold our annual Maundy Thursday celebration as well as the Spring Reunion so please carry applications for membership with you and urge Blue Lodge Masons to join San Jose Scottish Rite this April. As your Venerable Master for 2010, I will have two basic priorities: increasing our membership and raising funds for our Language Disorders Clinic. Both issues are critical and in need of our help. I ask each of you to do everything you can to help OUR Scottish Rite grow in membership and OUR Clinic serve as many children as possible. I would like to thank all our Ladies for their continued support. They bring sunshine to each of our Stated Meetings and social events.